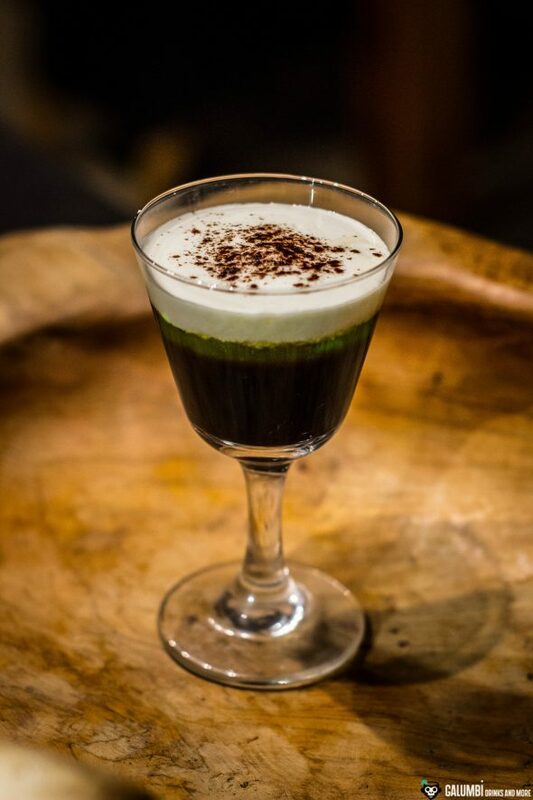 However, Absinthe also has a lot of potential beyond the art of mixing, and especially in France people are much more aware of the variety of the green spirit than people in Germany and other parts of Europe or the world. Therefore, it’s not surprising that today I have a bottle in front of me that in fact doesn’t come directly from France, but from a city that could hardly come any closer to the Grande Nation: Saarbrücken. A look at the map shows that the German city of Saarbrücken is actually located directly at the German-French border and it is not hard to imagine that the city is of course also influenced by this location to a certain extent. The whisky retailer SaarWhisky, based in Saarbrücken, has gained quite a reputation since 2015 as a mail-order company, especially for single malt whisky. However, despite its name, SaarWhisky does not see itself as an exclusive whisky retailer, but rather looks a little beyond its own nose. And they do not only do that in theory, but also in practice, as the absinthe bottle shows, which is the focus of my review today. The bottle is not only sold by SaarWhisky, it is also produced there. 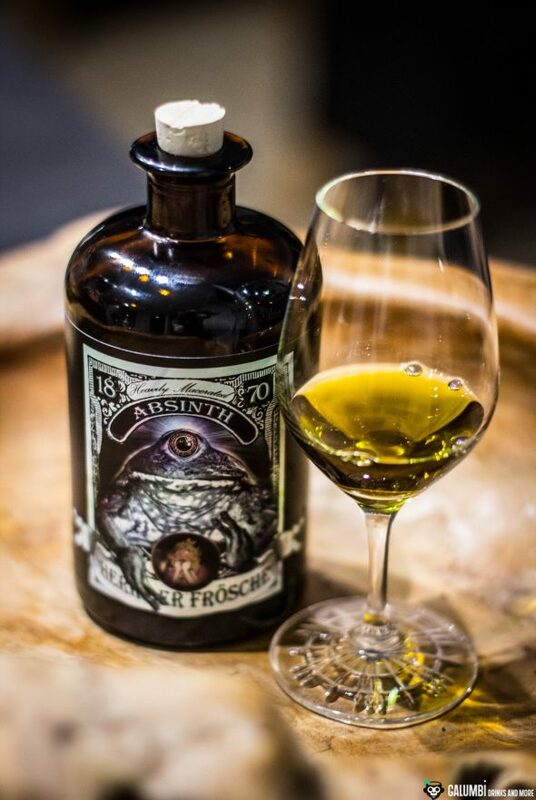 The Absinthe, which listens to the unusual name “Herr der Frösche” (“Lord of the Frogs”), was distilled on an Alambic (on the bottle’s label even the original name al-anbiq is printed, which goes back to the Arab origins of the technique) and macerated twice with herbs in the course of production. The maceration took place both before and after the distillation process (the latter is rather rare with other spirits, but is sometimes also done. For instance in a Bathtub Gin). We do not know the exact composition of the herbs, but wormwood, fennel and anise are part of it! According to the manufacturer, the Herr der Frösche Absinthe goes back to an original recipe from 1870 (hence the emphasis of that year on the label), which comes from the Swiss Val de Travers. In this valley the wormwood Artemisia absinthium is traditionally cultivated and harvested since the second half of the 19th century (even if as a result of a referendum the production of absinthe was forbidden there between 1908 and 2001). High-percentage bottlings are not uncommon in the absinthe sector and the Herr der Frösche is no exception with a proud ABV of 68.3%. However, before I will begin with my tasting, I would like to mention the rather unusual design of the label and the naming. Of course, it makes sense to associate green absinthe with green frogs. 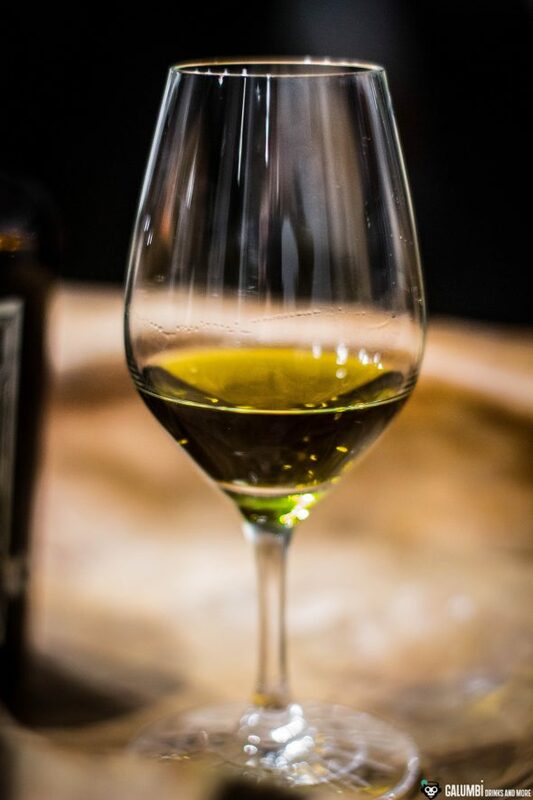 And due to the double maceration, the color of this Absinthe should be especially dense, which makes it a very intense representative of its kind. In addition, absinthe was always subject of a certain mysticism, which is probably also fed by the numerous legends about its effect and expressed in the nickname “green fairy”. If you look at the label of this bottle, a certain occult, fairytale-like and almost magical atmosphere is inevitable, which I personally like very much, since I have a personal weakness for such fantasy stuff. It is not surprising that the sight of the one-eyed Lord of the Frogs on the label is quite frightening for the princess. Then there is the beautiful 0.5l pharmacist’s bottle… in short: a bottle that really stands out from the crowd and is beautifully designed, as I think! But now to the essential, the tasting. Due to the high alcohol strength, I added a few drops of water after a while. Aroma: First, the great color catches the eye! 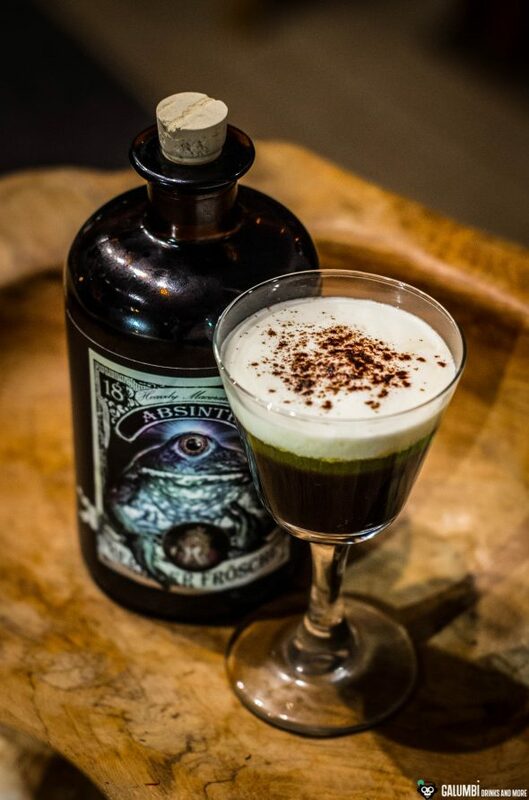 The dark green of the Herr der Frösche Absinth with its distinct cloudiness is almost reminiscent of swampy wet biotopes, which goes very well with the name of the spirit. It exudes beautiful and full notes of wormwood, anise and fennel, as well as intense salammoniac and warm tea notes. A very spicy and expressive Absinthe with sweet notes of honey and rock candy, the alcohol strength is quite noticeable. Although it carries the aromas very well and intensifies them, it also tingles a little in the nose, so it is appropriate to add some water. with a few drops of water: The addition of water weakens aniseed and ammonium chloride a little and makes the fennel stand out, but above all a warm wild honey. Again I have to think of sweetened tea; spicy and tempting. Taste: a very interesting balance of spicy fennel, anise, wormwood, salammoniac salt and honey sweetness with spices (a hint of white pepper and an idea of cinnamon). At the end, there are notes of dark chocolate and dried fruit. Very pleasant with a little water and without disturbingly sharp alcohol. This is a very intense and aromatic Absinthe of the like I have not tasted yet. I really enjoy it very much! Finish: warm, very long with anise, spices, honey and dark chocolate. 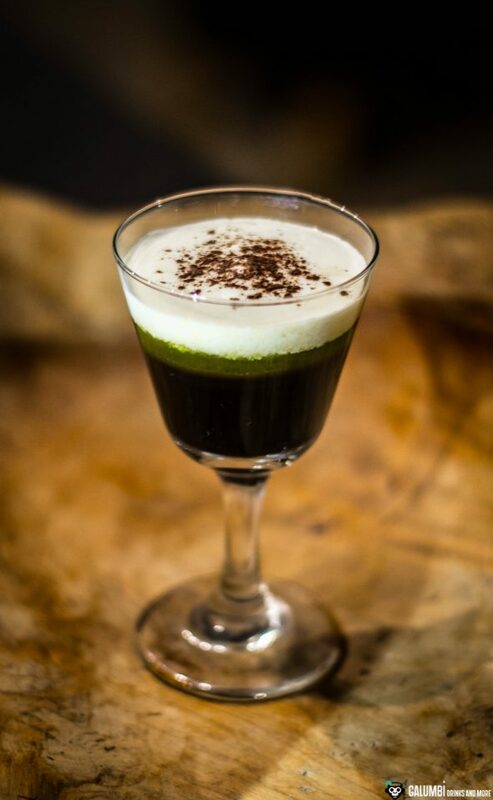 With my cocktail, the “Choc Frog”, I have taken up the idea of combining anise, wormwood and fennel tones with chocolate which is already there in the Herr der Frösche Absinthe. I know that this combination may not be everyone’s cup of tea. I guess I once read that only about 40% of humanity appreciates the taste of liquorice, anise, fennel and the like. To what extent, however, this was based on well-founded surveys, I cannot tell. In addition, if you have a look on Scandinavian countries, where liquorice is found almost everywhere (in combination with other flavors, above all chocolate), that also might prove wrong. The cocktail is a layered drink (which I actually only do very rarely) and therefore has the special feature of not being shaken or stirred. Nevertheless, the drink should be enjoyed cold, which is why the spirits have to be cooled in the refrigerator as an exception from the rule. lightly whipped cream: whip cream with a whisk until it has a more viscous consistency and adheres briefly to the back of a spoon. Do not whip the cream until stiff! Preparation: Even if this step is unconventional, all ingredients must first be cooled in the refrigerator (see above)! The cocktail must be layered afterwards. 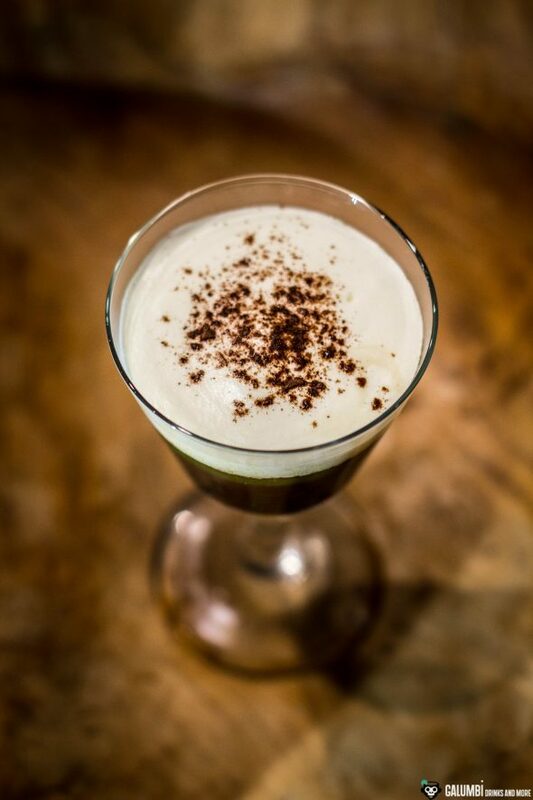 First, add Mozart Dark Chocolate as the lowest layer into your pre-chilled glass. Carefully pour the Lord of the Frogs Absinthe over the back of a bar spoon close to the liquid surface, so that a visible second layer is formed. Do the same with the cream. Buying sources: At specialized retailers or online or of course directly from the manufacturer. *The fact that this product has been sent to me free of charge for editorial purposes does not – in any way – imply any influence on the content of this article or my rating. On the contrary, it is always an indispensable condition for me to be able to review without any external influence. Copyrights for all texts, pictures and the Galumbi-Logo are held by the owner of the website (exceptions are explicitly marked). - Please always drink responsibly!